Whenever you hear a discussion about prominent professions or read a forum on the internet regarding luxurious jobs of this modern and contemporary world, web designing is probably among the top ones and most frequently mentioned by people from various fields, specially blogging. The reason is fairly inevitable. We live in a constantly developing global IT industry where website learning and designing is emerging as one of the most demanding field of expertise, particularly for bloggers. However, if you are a blogger with not much of technical knowledge about the web development sector, you can still learn and become nearly an expert in web development inside 3 months. You must be confused HOW, right? There are so many professional tools and websites available on the internet which provides us with accurate information about any programming languages and web development tutorials, with room for practical implementation, free of cost. Today I have compiled the best 3 websites in the business that best assist a blogger or any random person who wants to learn HTML and web development & designing. Lets have a closer look into them. I am a student of Computer Science, and I must agree to the fact that if anyone or anything has been the best tutor to me while learning all the imperative programming languages, it has to be W3Schools hands down. 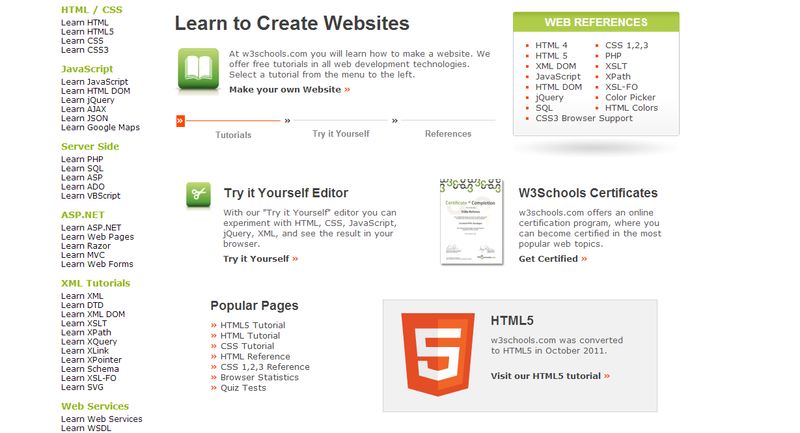 W3Schools is an absolute free website that helps you most accurately and comprehensively to learn different kind of programming languages including HTML, Java Script, ASP.NET and other web services. It makes you start from the very basic level, taking you through a learning journey towards the level of a professional. 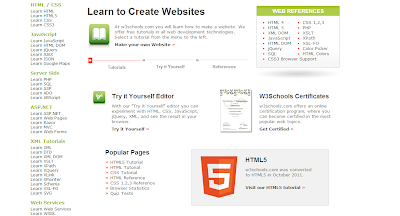 You must try this out first if you want to learn web designing. Although I never cared about looking into another web designing website after W3Schools, however if i have heard about another, its definitely WebDesignerDepot. It provides you free tutotials about different programming languages that include CSS, HTML and many more of the kind. In addition it daily updates new tricks and tips to provide an even better learning experience. The website itself has great aesthetics and offers newbies a great platform to learn web designing. 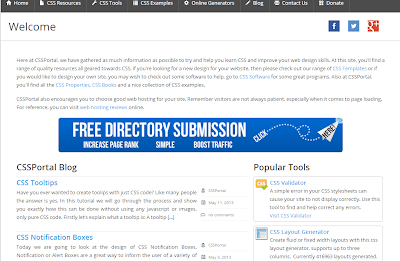 CSS Portal is another widely used website by both the newbies and professionals, specially bloggers. The website contains numerous templates that present as an example for the styling concept and how the aesthetics of a professional website or a blogger site should be. You can practice and play with diverse options which include creating round body shapes, dropdown menus, border for blog/ websites. It is a powerful website for learning web designing in short span of time.